Our Pop Up Displays offer you the option of graphic or fabric walls, are available in a variety of configurations and make setup and take down of your tradeshow display a breeze while providing a professional look. 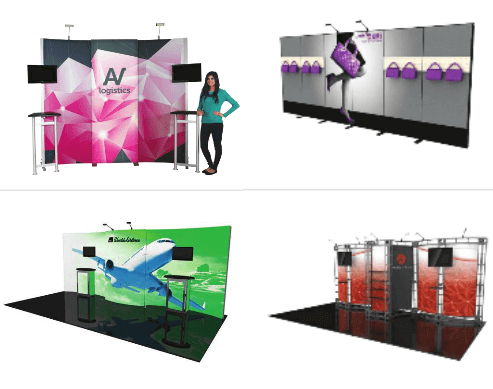 We offer a wide range of Pop Up style booth packages for your tradeshows and events. High quality full color graphics or fabric structures are available. 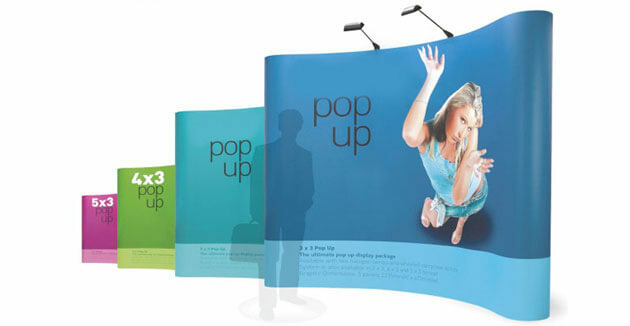 We have a great offering of sizes and styles of Pop Up Displays for you to choose from. We are happy to help you design your graphics for your Pop Up booth. 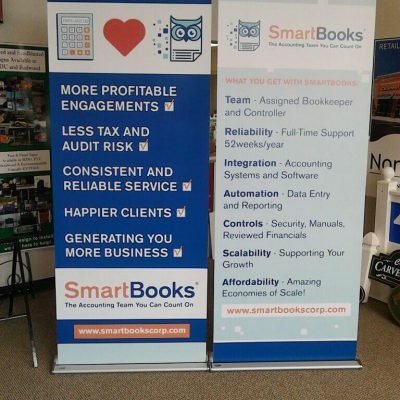 No additional charge for simple graphic design for your booth. Check out our full catalog of Trade Show Displays. 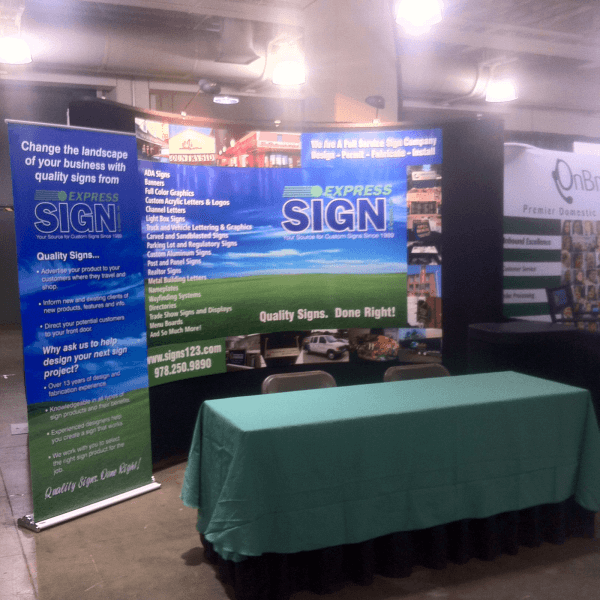 Add table top signs, retractable banners, and a table cover to complete your tradeshow booth. Available in sizes for table tops up to 20′ wide. 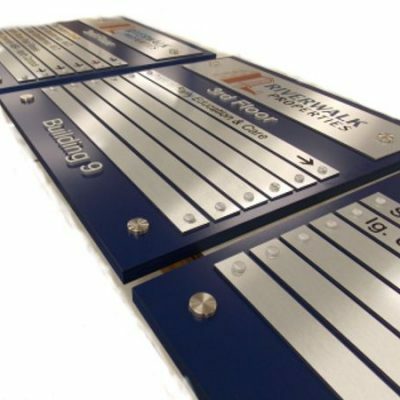 Add accessories such as lighting, shelving, kiosks and more to make your display stand out. Check out all of our trade show display products in our Catalog.